First 4 Glass - Builder, Fascia/Soffits/Guttering, Windows/Doors/Conservatories based in West Wickham, Kent. 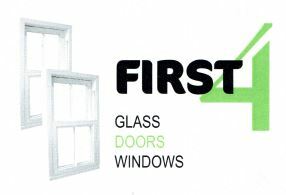 First 4 Glass has been established over 20 years ago, and has been providing a quality glazing service. We are a family run business and we place a strong emphasis on personal service. We have a proud reputation built through local Glazing installations that leave our customers content and satisfied. No matter how big or small the job, we provide a personal glazing service tailored to your needs. If the kids have broken a window playing ball in garden or if your entire property needs glazing, we are here to listen and advise you on a wide range of glazing options. We offer a comprehensive glazing service from Double Glazing installations and repairs, specialist interior colour splash-back glass and mirrors, bespoke conservatories, glazed atriums, interior and exterior doors as well as a trade service to local businesses. For a local glazing service that you can trust look no further!